← Linda Marshman Reports From New York, State, That Is!! From the Sunday Bunch by Allen Dronsfield. 2018 08 05. Al Dronsfield Speaks: A follow up from the Sunday Bunch at Leesburg. The group grew a bit today as Ben from Tavares showed up, also Barb Tulip joined us. 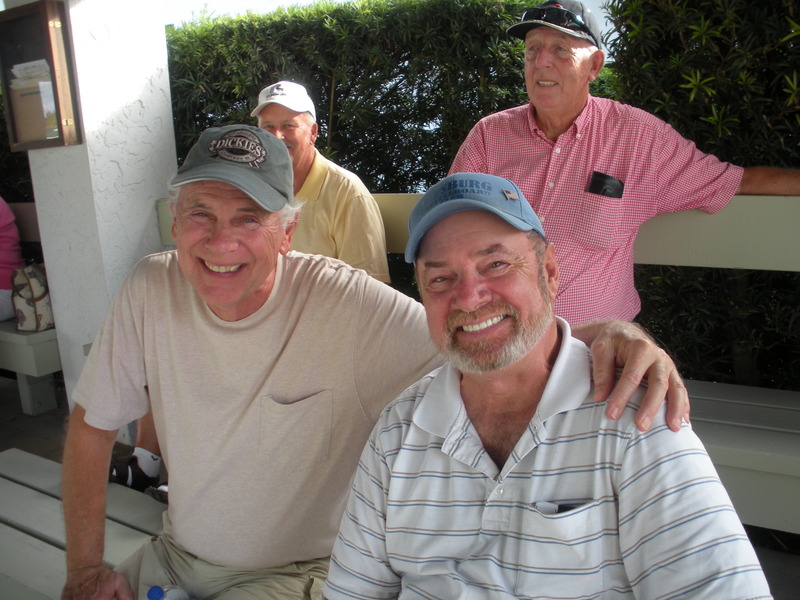 The great surprise was my friend and old partner had taken a year off from the game, but Gary McLaughlin showed up today as well. Being that the Sunday Bunch was initially organized by myself as a clinic we again took it in that direction. Today I put the challenge on them. Explaining that today there was no money, no points or awards of any kind available. The object was to take those shots you always thought of trying but didn’t. To broaden the horizons so to speak. On the scoreboard I wrote the words, Have Vision, Be Creative and Be Aggressive. Take the blinders off and see the entire board, seek out those shots that tend to hide from you and create the ability to make it. We played 4 – 75 point games.. I hope everyone had as much fun as I did today, the word creative seemed to be floating around freely. Many questions asked and many answers given. 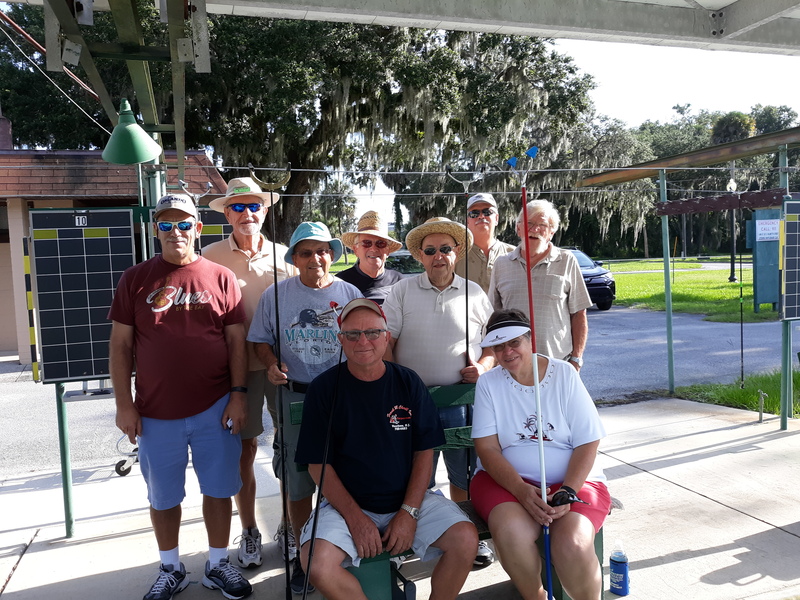 A great group it is as we have a couple guys that come up from Clermont each week, Vern comes over from Inverness and of course Paul Hodges one of our top Amateurs comes down each week from Ocala. We encourage others to join us. Two pictures, one of the Sunday Bunch and then my friend Gary McLaughlin and myself. Reported by Allen Dronsfield. 2018 08 05.